The following is a review of Girls of American History. This Girls of American History series of lessons would have been just right for my girls a few years ago. My girls loved reading the American Girl books and we used them as a gentle introduction to different time periods when they were younger. Justine shared one of her 6-week studies as a download, and my daughter decided on unit 2 the American Revolution/Felicity. After downloading the file, it opens with a password. This "multi-sensory curriculum" includes a literary guide and unit study to accompany the Felicity American Girl book. The 16 page PDF by Justine Gamble includes an introduction by the author who shares a desire to bring history to life in a way that reaches children. She also shares a password encrypted resource page on her blog which includes links to each of the resources recommended in the instructions. This study covers the time and some events of the American Revolution. A resource list is included and all of the books from the Felicity series are recommended. Of the eight crafts shared, two games are ones that are probably in many American households. Others require additional purchases. A suggested schedule graph chart is provided for the 6 week series. A lap book is recommended, however not included. Links to blank templates are shared. Suggested crafts will require additional supplies, and suggested field trips require travel. Additional activities are suggested which can be completed with simple household items and even one with no additional supplies. With unit studies we have completed in he past, I've enjoyed exploring additional topics that grabbed the interest of my students. 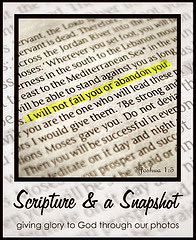 This author planned for that and included a list of additional optional study points categorized as biography, geography, character studies, and language arts. "Are you interested in finding out more about the beautiful Pacific Northwest? Do your children enjoy fishing, nature and Indians? Maybe a family Pow Wow sounds fun. Perhaps the trying, yet exciting times of the American Revolution would interest your child. 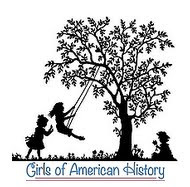 Girls of American History helps engage children, both boys and girls through multisensory education. History can be difficult to teach in a way that is engaging and inspiring. If you are looking for a way to teach your children in a way that retain the information, participate wantingly and look forward to their reading and history. Then check out Girls of American History. Fun for both boys and girls!" She further shared that this series is good for girls and boys. The series is not affiliated with Pleasant Company. She is currently finishing the last three existing units - Marie Grace/ Cecile, Rebecca and Julie within the next few months. Caroline was published two weeks ago. I'm interested in Julie, the girl from the historical period of my own childhood. Disclaimer: I received a free download of this file in exchange for my honest review. I was not required to write a positive review nor was I compensated in any other way. All opinions I have expressed are my own or those of my family. I am disclosing this in accordance with FTC regulations. This sounds so interesting. I think my nieces would enjoy this. I used the Pleasant company Felicity unit study with my older daughter back in the 90's. I don't think they publish those anymore so I'm glad to see someone else is picking up the idea.